Tiny umbrella strollers that will fit into the smallest spaces, including airplane overhead lockers, are all the rage right now. In this article, we take a closer look at two relative newcomers to the super-compact stroller marketplace, the GB Qbit Plus and the Mountain Buggy Nano 2. These strollers both sit in the luxury end of the market, and they are quite expensive when compared to other makes. So, it’s especially important that you know which one would suit your needs best and which would provide you with the most bang for your buck. First of all, let’s meet the manufacturers. 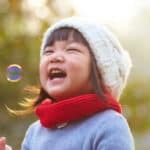 GB is the result of a collaboration between CYBEX founder, Martin Pos and his old friend, Zhenghuan Song, CEO of children’s gear manufacturer, Goodbaby. GB’s products are designed using industrial design technology to create stylish, functional strollers that are ideal for the urban family who likes to travel light. Mountain Buggy was born in 1992 and is the first stroller manufacturer to produce a dedicated all-terrain stroller. That first creation was conceived and designed by a New Zealand father who enjoyed hiking along the mountain trails close to his home and wanted to take his young child with him. 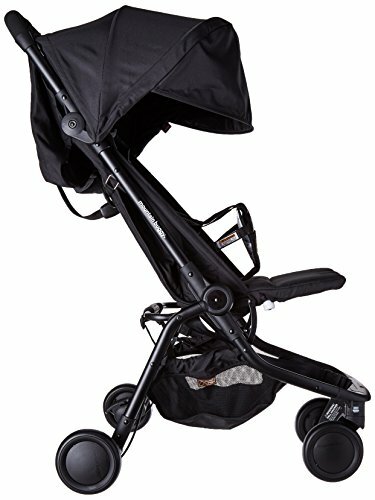 Since then, the Mountain Buggy range has expanded to include regular strollers, joggers, and lightweight, umbrella strollers too. This stroller is a luxury lightweight stroller that folds into a super-compact, cube-shaped package. 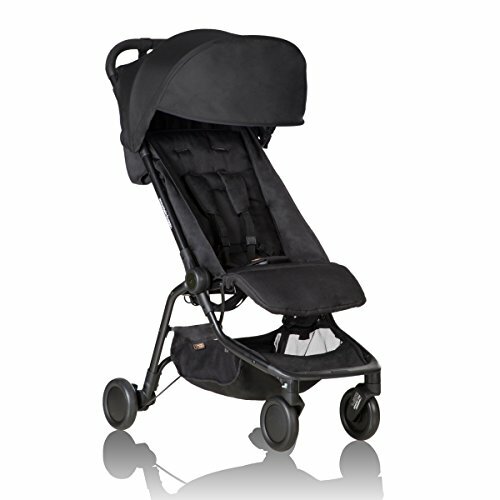 The Qbit Plus is unashamedly aimed at urban families who want a space-saving, lightweight but still luxurious stroller. The Plus is the upgraded version of the original Qbit. The Qbit Plus does have a few premium features that are lacking on the original Qbit, but the main difference is that the Plus can be used for a newborn, whereas the Qbit is only suitable for infants from six months of age. To see a manufacturer’s instructional video featuring the Qbit and Qbit Plus in action, watch below. 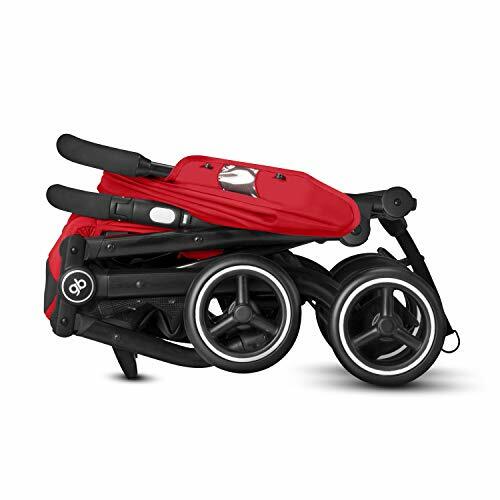 The Mountain Buggy Nano 2 is the upgraded version of the original Nano. The Nano 2 is designed to facilitate smooth, hassle-free travel, particularly for families who frequently use public transport. The Nano collapses quickly and easily via a two-step process into a super-compact package that will fit into any car trunk. Also, you can take the Nano onto most airlines as carry-on baggage, and it will fit into an airplane overhead bin. That means no more waiting at the baggage carousel in airports with a fidgeting child in tow! To see a video of the Mountain Buggy Nano in action, watch below. 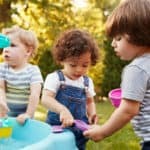 In this section of our guide, we compare the features of both these strollers that matter most to parents. 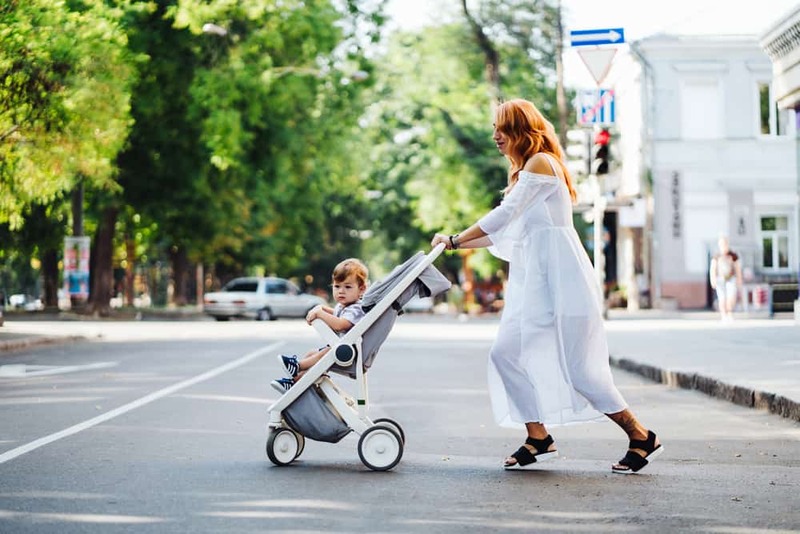 One significant feature of both strollers is their weight and dimensions when folded, especially to parents who are frequent travelers or if you want a stroller to take on vacation with you. So, the Qbit Plus weighs in at 16.8 pounds, versus the Qbit at 15.2 pounds, and the Nano’s featherweight 13 pounds. As for the folded dimensions, the Qbit measures 15 inches x 18.9 inches x 20.5 inches, and the Qbit Plus is slightly bulkier at 16.5 inches x 19.3 inches x 20.9 inches. The Nano comes in at 20 inches x 11.8 inches x 21.2 inches, so the difference between the three is negligible. The Qbit Plus has a one-handed fold versus the Nano’s two-handed process. Both the Qbit Plus and the Nano have an auto-lock feature that makes them freestanding when folded for convenient storage. With the Nano, you get a storage bag too. The Qbit Plus is extremely easy to turn and handle over uneven sidewalks and up and down curbs. If you use public transport, the Qbit Plus is a godsend thanks to its featherweight and super-compact space-saving folded package that you can stow away easily. As you would expect from a Mountain Buggy stroller, the push and drivability of the Nano are excellent. 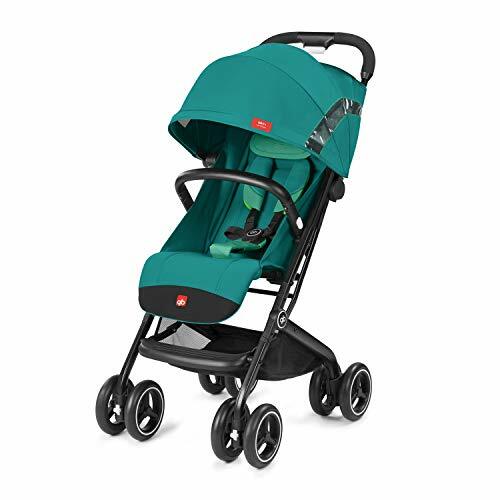 The wheels are smooth, and the compact build of the stroller makes it a breeze to push over uneven terrain and up hills. The Nano has swivel front wheels that can be locked for occasions when you’re navigating gravel, cobbles, grass, etc., and the rear-wheel suspension gives your passenger a super-smooth ride. The Qbit Plus has a flip-flop-friendly, easy to operate, brake in the center of one of the rear wheels. The Nano has a simple and effective, step-on, step-off pedal braking system that’s color-coded and easy to find with your foot. Like the Qbit, the Nano’s brake is flip-flop-friendly, so it’s perfect for family holidays in the sun! 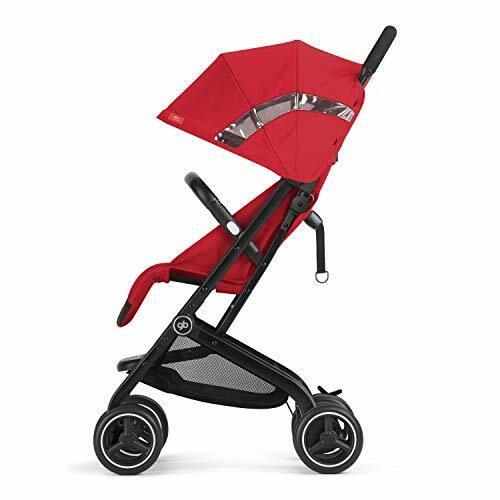 As is the case with most umbrella-style strollers, the single handlebar on the Qbit Plus is not adjustable, although it is a good height that will suit most parents up to about six feet tall. Thanks to the intelligent design of the stroller chassis, parents with a long stride won’t stub their toes while pushing the stroller. Like the Qbit Plus, you can’t adjust the single handlebar on the Nano. However, the thick, high-quality foam cover make the handlebar comfy to push and ensures that it won’t slip out of your hands on a wet day. The height of the handlebar is comfortable for parents of average height up to about six feet tall. Long-striding parents are in no danger of catching their feet on the chassis, so pushing the Nano is a pleasure. The Qbit Plus has a neat, pop-off bumper and an adjustable footrest that keeps little legs comfy and supported while your child is napping. The Plus is suitable for a newborn through to a toddler that weighs up to 37.5 pounds. The Qbit Plus’s backrest adjusts via a toggle and strap system, which unfortunately is rather stiff and awkward to move. The seat itself is very well-padded and soft, providing your passenger with a comfortable ride. A nice extra touch is the “head-hugger,” a cushioned headrest attached to the seat back that protects your child’s head when you’re traveling over bumpy ground and provides a comfy cushion for your little one when he’s napping. You can use the Nano from birth, as long as you have the car seat or cocoon option. 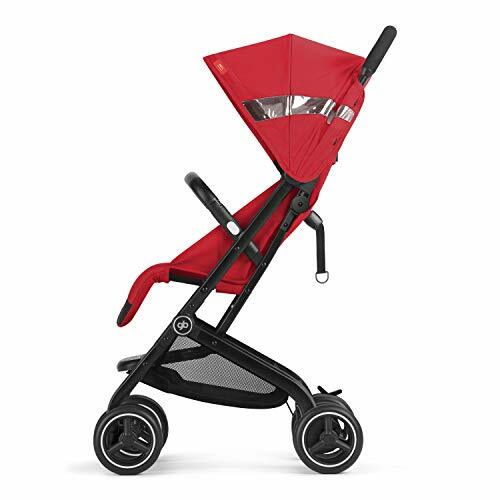 The toddler seat is very large for an umbrella style stroller and will easily take a large toddler up to 44 pounds in weight, easily outstripping many other strollers in this niche, including the Qbit. The extra-long seat back of the Nano means that taller kids can ride comfortably too. Compared with the seat recline mechanism on the Qbit Plus, the Nano has a smooth, squeeze-clasp strap system. You can adjust the seat to many positions that suit your child’s needs. The seat does recline almost flat, but you will need to add the soft bassinet cocoon if you want to use the Nano for a newborn. Like the Qbit Plus, the Nano has a leg rest that allows you to support your child’s legs while they’re napping. The latest version of the Nano 2 has solid fabric seat sides, as well as a seat back flap between the canopy and the seat back, which is designed to protect your child from the elements. 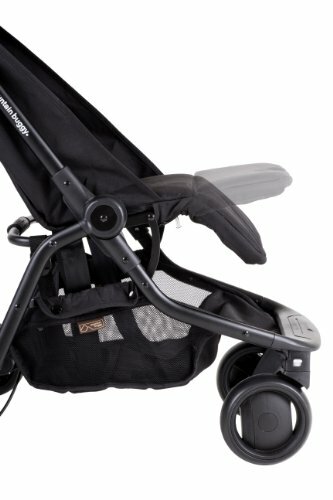 You can use the back flap as a mesh panel on warm days to create better air circulation through the stroller seat. And on rainy summer days, the panel acts as a barrier to keep the rain out. Your child is kept safely in the seat by a well-padded safety harness that’s easily adjustable and has a toddler-proof, parent-friendly buckle. The Qbit has a generous SPF 50+ canopy that provides plenty of coverage for your child. There’s no peek-a-boo window, but instead, GB has included a transparent strip across the back of the canopy that allows you to keep an eye on your child. The Qbit Plus comes with a rain cover too, so inclement weather needn’t spoil your day out. The Nano 2’s canopy has been improved, but it is still quite small and doesn’t give your child the coverage that’s provided by the canopy on the Qbit. However, the Nano does have a built-in sun visor a little more protection on very bright, sunny days. 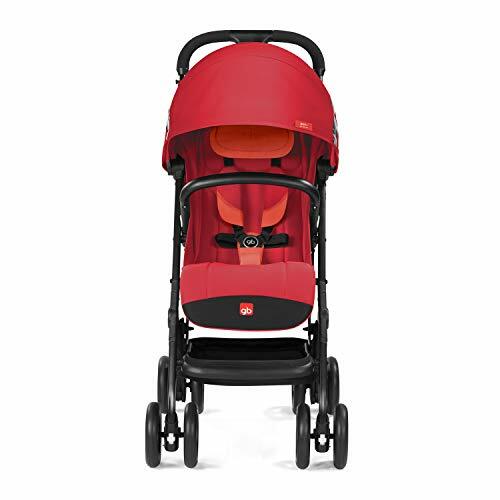 Unfortunately, there’s no peek-a-boo window on the Nano, but you can quickly and easily sneak a peek by looking around the front of the stroller to check on your little one, so this needn’t be a deal-breaker. The Qbit Plus has a storage basket that is open to the back and front. You can fit a diaper bag and a few essentials in there, but the basket isn’t big enough for a full shopping bag. The Nano’s underseat basket is plenty big enough to hold a diaper bag and a few basics for a day out at the beach. Access is easy from all angles. The Qbit Plus is compatible with most GB infant car seats, including the IDAN, Cybex, and Artio. You will need to use adapters to create a travel system, and you’ll need to buy these separately. Underneath the Nano’s seat is a buckle strap that’s designed to be used as a lap belt connector. This feature can be used with compatible infant car seats so that you can transform the Nano into a full travel system. All you have to do is put the infant car seat onto the stroller’s seat, fasten the lap belt, fix the side toggles, and you’re good to go! The Qbit Plus has plenty of additional extras to choose from, including a footmuff, a changing bag, a parasol, and a cup holder, but you will need to buy these separately. You can buy a range of accessories for the Nano, including a newborn cocoon, all-weather cover set, snack tray, and parasol. The Qbit comes in six bright, fun colors, including pink, turquoise, blue, red, black, and khaki. In comparison, the Nano comes in just three colors; red, blue, and black. The Mountain Buggy Nano and the GB Qbit Plus are both superior quality, ultra-compact umbrella strollers that are designed for families who need to travel light. If you’re planning on taking a vacation somewhere sunny, or if you live in a region where the summers are hot, you may prefer the Qbit Plus with its large canopy and mini peek-a-boo feature. However, the Nano has a neat seat ventilation system to keep your child cool, and you can buy a parasol to improve sun protection. For storage, the Nano has the edge with a slightly roomier underseat basket that will comfortably take your diaper bag and picnic. As far as maneuverability and handling go, both these strollers are light and easy to push. Although neither model has an adjustable handlebar, they are both suitable for taller parents. 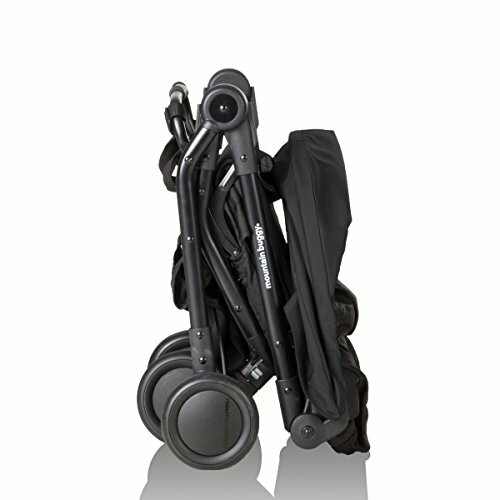 Both strollers are compact when folded, although the Nano is the lighter of the models we looked at. That said, both are suitable to take as carry-on baggage with most airlines, and both will fit into any car trunk. 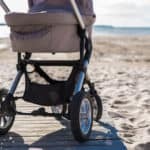 In a nutshell, if you’re looking for a reliable, well-made stroller that you can take away on vacation, either of these strollers would fit the bill perfectly.